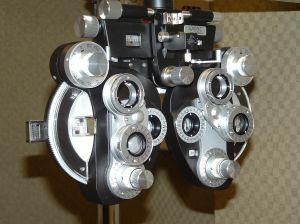 When his eyes began to give him trouble, a man went to a ophthalmologist in Prague. The doctor showed the patient the eye chart, displaying the letters CVKPNWXSCZ. "Can you read that?" the doctor asked. "Can I read it?" the Czech replied. "I dated his sister!"